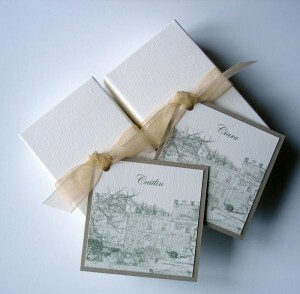 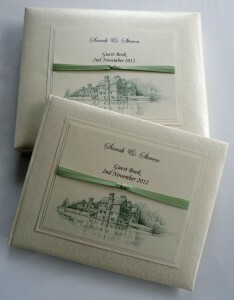 This book fold pocket design features a sketch style image of your venue. 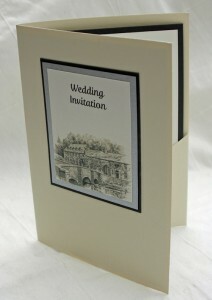 It is printed on heavy weight matte textured card, and layered with a contrasting colour. 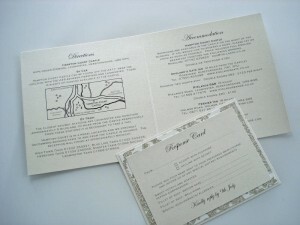 A large guest information card is included with this version of the design. 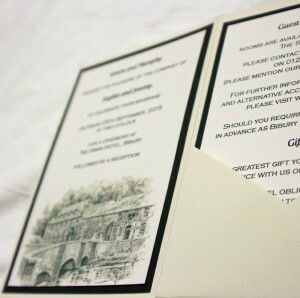 Use of images is subject to copyright being obtained in some cases; please contact us to discuss your requirements. 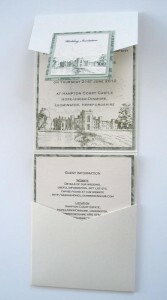 This design is also available as a folded card. 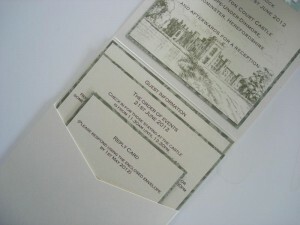 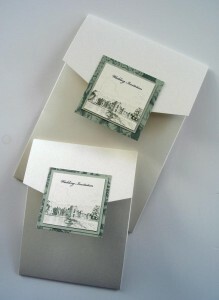 If you choose the folded card option guest information can be printed on your invitation insert. 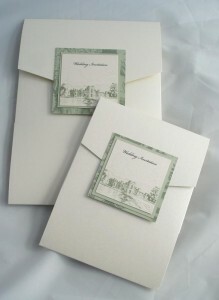 Matching RSVP card with envelopes and additional guest information cards are available. 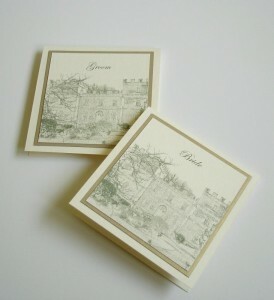 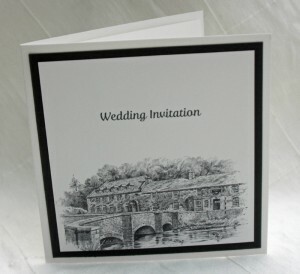 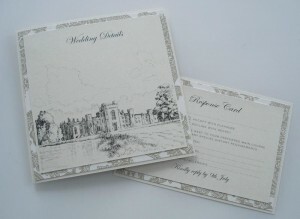 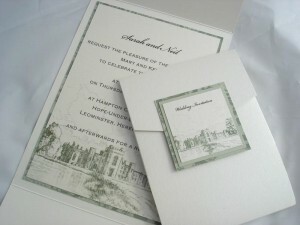 Matching RSVP card with envelopes are available for invitations at a cost of 95p each.